Testé et approuvé. Enjoy ! Here is a PSN enabler and disabler I've made which also spoofs to Firmware v4.20. This is only for Kmeaw users. I've made one for Rebug FW too but I haven't tested it yet. I have used Rebug's spoofer files and Nathanr's tools, so thanks to them. 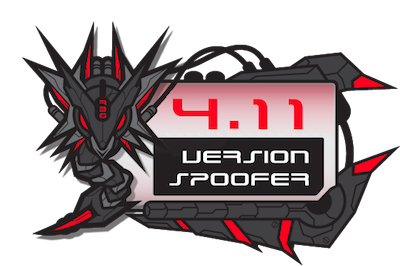 Make sure you are unspoofed (3.55) before running the enabler. The disabler restores the original Kmeaw files and returns to v3.55. I have also used a reactpsn compatible vsh.self in the disabler so it doesn't screw anybody up that uses reactpsn. For those that don't use reactpsn, you won't notice anyway. To enable PSN and spoof to v4.20, run the enabler, the screen will go black for about 15 secs, PS3 will then restart, your pad will have disconnected too so press the PS button. You can now check your firmware version in system info, it should say 'version 4.20' and you should now be able to connect to PSN. To disable and return to v3.55, just run the disabler, screen goes black again and PS3 restarts. I can't see this lasting long, as it looks like Sony are currently only checking the firmware version above and beyond what Rebug have already done. A noter que certains jeux vont demander OBLIGATOIREMENT une MàJ pour fonctionner online, MàJ qui certainement va les empecher de marcher en 3.55, donc ce ne sont pas tous les jeux qui marcheront, mais tout ce qui est trophée, friend list, chat, et normalement PSStore devraient marcher.